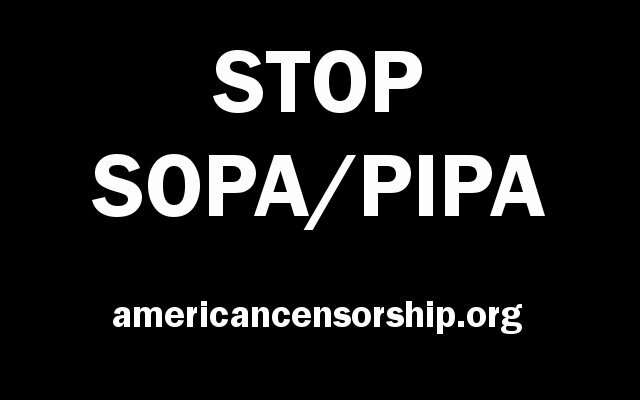 Tomorrow, January 18th, I will be joining many websites that will be going black from 8am to 8pm in protest of the SOPA/PIPA (internet censorship Bills). Please visit http://fightforthefuture.org/pipa, http://sopastrike.com/, and americancensorship.org for more details and to see how you can help! Life getting in the way? There has to be a line in the sand and here is about the right place to make it. This once proud and free Country has been dragged to it’s knees and shackled, and now they are getting ready to stuff the gag rag down our throats and stifle our First Amendment Rights. If not here, then where? If not now, then when?